Fantastic Book!!!!! Hope she writes/edits fast. Can’t wait for the next book in the series. This was another book that kept me intrigued from start to finish. The changes that Melanie takes you through make you feel like you’re part of the story. 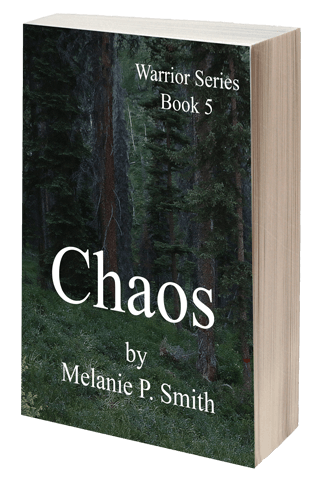 The saga continues with Book 5 in Melanie P. Smith’s Warrior Series, against a backdrop of ongoing war between the Fae people and the sadistic Vampire King. In this installment we are introduced to two new characters, Bastian Carrigan the quiet warrior, and Kylee Quintana the ER doctor who follows Samantha Reed back to the Seneca compound thinking Samantha’s frequent injuries are a result of domestic abuse. Kylee is not at all prepared for what she finds. Kylee’s developing relationship with Bastian seems normal enough in the beginning but takes an unexpected twist, one that I didn’t see coming at all. Masterfully written. Well worth the read.